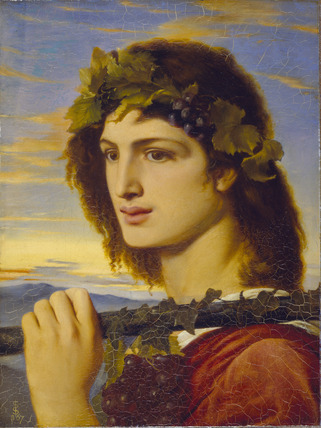 The subject of the painting, which Solomon returned to several times, is that of Bacchus the Roman god of wine. Solomon's often sensual images of men, of which this is a good example, can be linked with his own homosexuality. Oil on paper laid on canvas. Bequeathed by Miss Katherine Elizabeth Lewis, 1961.